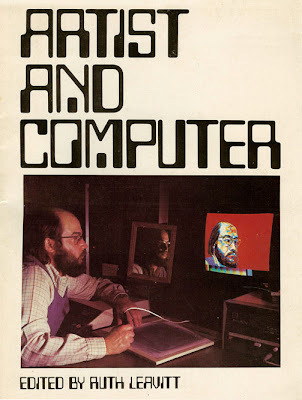 "The relationship between artist and computer is important both to people in the arts and sciences and to society as a whole. The union of art and science in computer art is reflective of the times in which we live. Ours is a technological society, one which demands interdisciplinary approaches to problems. Our lives are closely linked to one another. Therefore, we must communicate. Assumptions about computer art are varied. They range from the naive belief that computers will take the place of human artists to the more sophisticated belief that soon the Leonardo of computer art will come. This person would be scientist, programmer, humanist, and artist—the true universal person. Computer art challenges our traditional beliefs about art: how art is made, who makes it, and what is the role of the artist in society." The whole book is available digitally from the ATARI ARCHIVES.